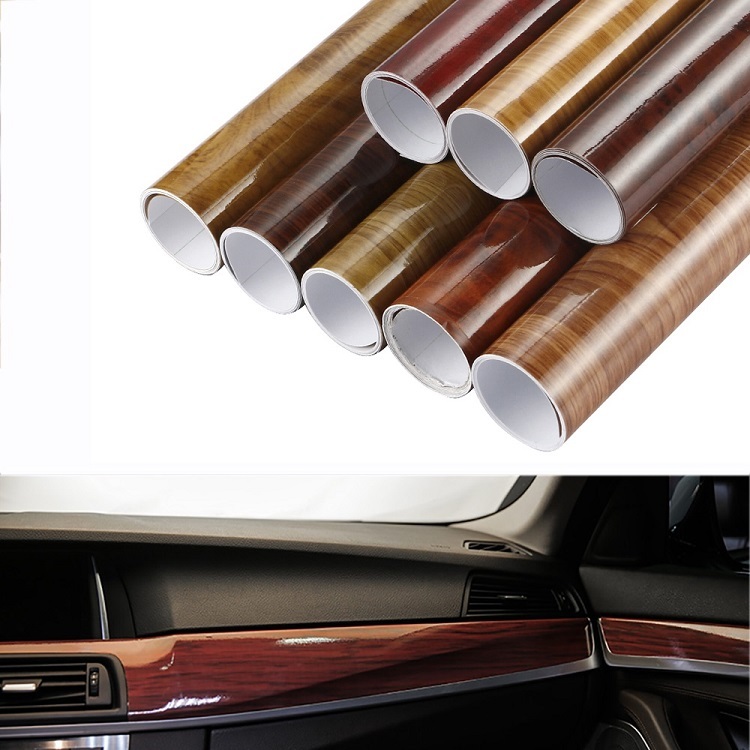 Product categories of Special Car Vinyl, we are specialized manufacturers from China, Wood Car Wrap, Cat Eye Car Wrap suppliers/factory, wholesale high-quality products of Camouflage Car Wrap R & D and manufacturing, we have the perfect after-sales service and technical support. Look forward to your cooperation! Teak is amongst the world's most valuable hardwood. The rare beauty of teak. Its dark brown luster, decorative grain and unique properities have made it one of the most demanded woods of the world. Wood Grain finishes give you almost unlimited creative freedom, combining new material dimensions with a high-tech multi-layer film construction of superb aesthetic quality and visual realism. The "Wood Grain" family contains patterns with a natural repeat and grain pattern for a authentic wood look. The product`s 8 mil thickness enables installations that are lighter in weight than traditional decorating materials. And this product includes Adhesive for fast, easy professional-looking on-site installations that stand the test of time.